The land of Tibet lies at the very roof of the world. As prophesied by our teacher, the omniscient Buddha Śākyamuni, this land was to be the sphere of influence of Avalokiteśvara or Chenrezik in Tibetan. Gyalwa Pukang Monastery of the Ngagyur Nyingma is located in this sublime place. It was established by the great siddha Padma Rinchen in 1752. Its educational and practice centers developed and flourished gradually, producing a continuous stream of learned and spiritually-accomplished individuals, great saints who maintained the Buddha’s teachings. This has continued down to the present day. The teachings of sūtra and mantra, as well as the traditional sciences, have been taught, studied, meditated upon, and accomplished, and through this, the Buddhist teachings have been maintained and not allowed to deteriorate. A community of more than one thousand fortunate students resides continuously at this monastic complex. It greatly enriches the Buddha’s teachings, and those of the Nyingma in particular, through the dedicated practice of listening, contemplation, and meditation. The Second Pukang Rinpoche, Gyurmé Nyedon Tenzin, was born in 1796. He studied with many great teachers, but his principal dharma teacher was Gyaltsap Tenzin Chokgyur. His knowledge of the Buddhadharma was vast and profound. The Second Pukang Rinpoche gave written transmission of the Kangyur to Patrul Rinpoche as well as other rinpoches and khenpos from Shechen, Dzogchen, and Katok monasteries. He gave many empowerments and teachings to khenpos and monks in the Kham region and worked for the benefit of all sentient beings. Pukang Monastery belongs to the lineage of monasteries descended from Mindroling. 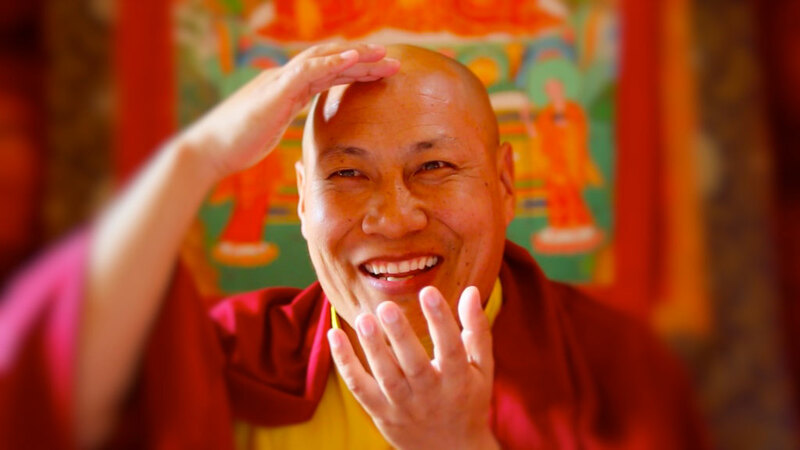 Mindroling is renowned as the headwater of the teachings of the supreme secret because its tradition has, like the sun, illuminated the philosophical system unique to the Nyingma. The Mindroling tradition is an inspiration to all who are associated with the Nyingma, the oldest tradition of Tibetan Buddhism, for it does not require support from any other source, but rather stands on its own. Its influence on both the kama and terma traditions in their entirety has been unparalleled in terms of the explanation and promulgation of maturing empowerments and liberating instructions and the passing on of traditional rituals and sādhanas. The Fifth Pukang Rinpoche and Abbot of Pukang Monastery is Gyurmé Rigdzin Garap Dorjé, who was born in 1977, in the Dergé region of Kham, Eastern Tibet. At age six, he was recognized by Dilgo Khyentsé Rinpoche and by His Holiness Sakya Trizin among others. 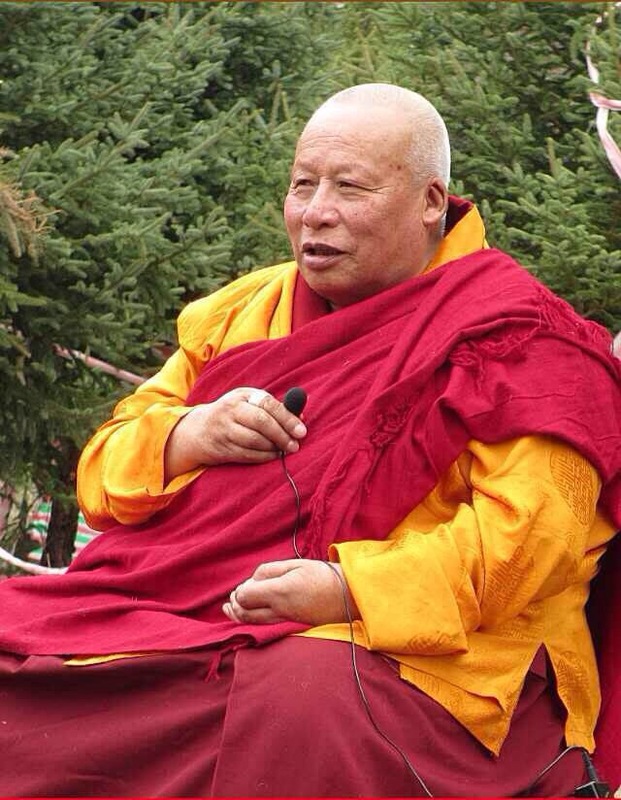 The Fifth Pukang Rinpoche came to Pukang Monastery when he was eleven. Upon entering the monastery, he studied Tibetan language and writing, as well as, the traditional monastic disciplines. As a young person, Pukang Rinpoche displayed a profound compassion for the suffering of all sentient beings. In the summer of 1988, the young Pukang Rinpoche was enthroned as the supreme abbot of Pukang Monastery. The enthronement celebration lasted seven days. High lamas and rinpoches from over thirty other monasteries joined the celebration with government officials and thousands of local Tibetans. 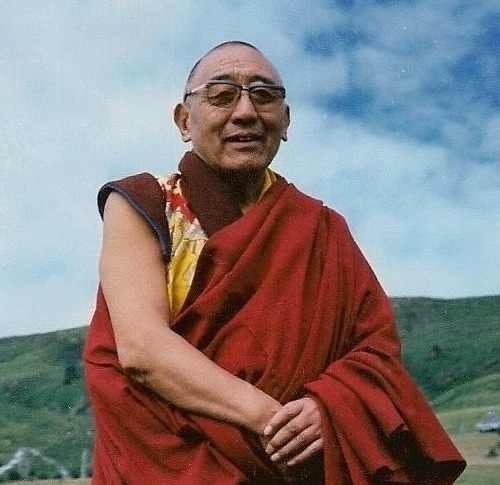 At age fifteen, Pukang Rinpoche entered the university shedra of Pukang and studied under Khenchen Padma Tsewang, Khenchen Jigmé Phuntsok, and others. His course of study included Buddhist philosophy including Mādhyamika, prajñāpāramitā, and traditional meditation practice. While at the university, he also completed a three-year meditation retreat under Khenchen Padma Tsewang. The Fifth Pukang Rinpoche resides at the monastery in Kham, Tibet. He continues his enlightened activities and leads a community of over one thousand monks and five hundred nuns. Under his direction, Pukang Monastery has enjoyed many improvements. Ngetön Shedrup Targyé Ling was founded by Khenchen Padma Tsewang in 1987. The university is a sanctuary for the study of the five major and minor sciences and the Buddha’s teachings. Students study the three foundational practices of the Vinaya, the root teachings of the sacred Dharma, as the basis for the non-sectarian exposition of the wonderful treatises of the learned Indian and Tibetan masters. These include treatises on sūtra, mantra, and the sciences, with a particular emphasis on the writings of the three omniscient ones: Rongzom Mahapandita, Longchen Rabjam, and Ju Mipam. 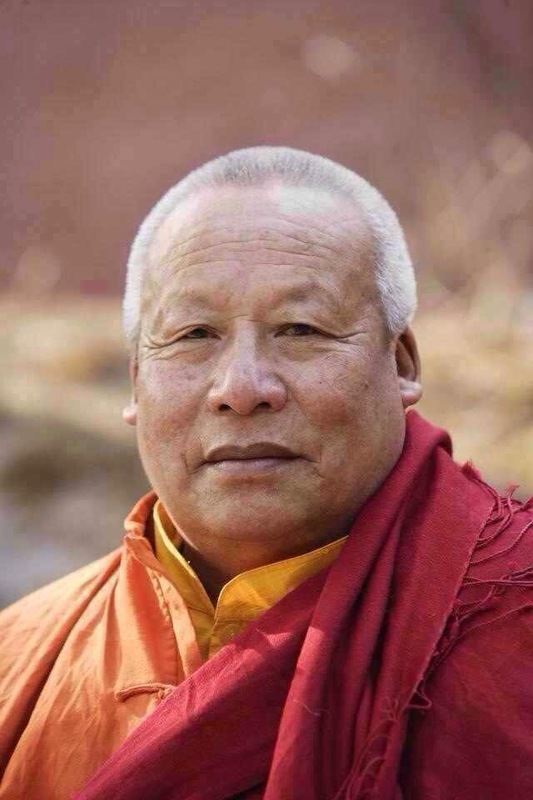 Numerous lineage-holding khenpos have been trained at this institution, including our Spiritual Director, Khenpo Sherab Sangpo, bringing happiness and benefit to all regions of Tibet and to other countries, as well as protecting and preserving the Buddha’s precious teachings and helping them to flourish. At the retreat center of Pukang Monastery, fortunate students begin by studying the teachings on mind training with a qualified spiritual guide to develop renunciation and bodhicitta. Then they move on to a course of practice based on the tradition of Orgyen Mindroling Monastery. Emphasizing the vast teachings of the canonical tantras (Nyingma Kama Lineage) and the profound teachings of the canonical sādhanas (Nyingma Terma Lineage), students complete the practices of a number of supreme yidam deities, including the approach, accomplishment, and activity aspects of their respective practices. In reliance upon the two stages of development and completion of the short path of the Secret Mantra Vajrayāna, an uninterrupted stream of practice continues at Rim Nyi Samten Chöling.